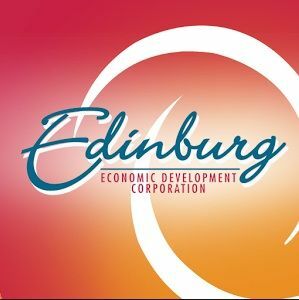 EDINBURG — Council members here removed a majority of the Edinburg Economic Development Corporation board Tuesday night and quickly appointed themselves to serve on it instead. The move drew criticism from members of a local watchdog group and Councilman Homer Jasso Jr., who is currently the only elected official not on the EDC board. The discussion about replacing EDC board members Julio Carranza, Isael Posadas and Noe Sauceda appeared rushed Tuesday night. It lasted about a minute and was marked with a comment from Jasso, who appeared to question the motive behind the replacements. Carranza, Posadas and Sauceda were appointed to the board just four months ago when the new administration took over after a contentious election. Confusion ensued, however, when those in attendance struggled to hear Jasso’s remarks as the councilman’s microphone was not directly under him while speaking. Attendees looked on in confusion and asked the elected officials to repeat themselves when Councilmember Jorge Salinas attempted making a motion and Edinburg Mayor Richard Molina tried moving the vote forward; Jasso, meanwhile, appeared to have a question. But the council quickly moved forward with a vote to replace the outgoing members with Molina, Salinas and Councilman David Torres. “We didn’t even get the names at first of who was on there,” said Fern McClaugherty, a former city candidate and member of the Objective Watchers of the Legal System. She approached newly appointed City Secretary Ludivina Leal for clarification after the council broke for executive session, but even Leal seemed a bit confused about the appointments. Jasso, a self-described odd man out, did not participate in executive session. “They’re just going to kick me out,” he said. Jasso is currently under scrutiny for reportedly making a profit off of the city — a move that could cause him to lose his seat. Council members found him guilty of violating the city charter at their last meeting earlier this month. The issue is currently caught up in the court system with a hearing set for early April. OWLS member Norma Saldaña also took issue with the appointment of Molina to the EDC board. “And one of the things I believed the mayor campaigned (on), was that the mayor shouldn’t be on the EDC (board),” Saldana said. Molina repeatedly called on former Edinburg Mayor Richard Garcia to step down as president of the EDC board, and ran on a promise to strip the EDC president title from the mayoral position. After Molina was elected in November, the council voted to name Councilman Gilbert Enriquez president of the economic development board. Molina and Enriquez did not return a request for comment.